The number of lives Don impacted along his journey is unknown, but Don’s influence continues to live on. 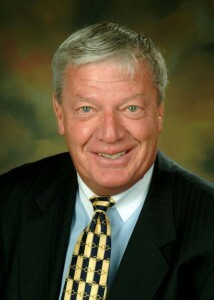 Don’s accomplishments exemplify the true meaning of the “Milestones in Mentoring” Legacy Award. Describe your dad’s role as a mentor. I have to believe my dad didn’t start out his career knowing that he’d have such a knack for mentoring others. But I certainly think this skill came quite gracefully once he realized the impact of his leadership and the effect that this had on others. He truly believed that you could do anything you set your mind to and I watched him mentor countless friends, colleagues and complete strangers who aspired to do what we might think is unattainable. Upon his passing, I received an overwhelming number of emails and notes sharing stories about how my dad had and will continue to have an effect on their lives. I’ve saved every one of them and I read them often. One, in particular, stood out to me. It was from a friend I had never met whose passion was to be a writer. He told me that one of the best things my dad taught him was that all work, no matter what kind, is honorable. That spoke volumes to me the day I read this and I often find that I am preaching those very words to anyone who will listen. My dad took great pride in his ability and passion to mentor and help others. One of his greatest accomplishments was to watch others succeed. He was known to seek out those in need and wanted nothing more than to sharpen their resume, listen to their goals, visions and dreams for the future and send them off with a course of action. Who was your dad’s mentor and why? In the early 1980s, the military sent my dad to a program called “training with industry” where they had military officers in public relations work in the corporate world with PR professionals. A man by the name of Jerry Voros was his boss and was President of Ketchum Communications in Pittsburgh, Pennsylvania. My dad spent a year there learning how the corporate world worked as opposed to the military when it came to the public relations industry. He learned a lot and always felt that this is what led him to a profession in PR when he retired from the military. He took everything he learned from Jerry Voros with him. My dad spoke of him often as I grew up and I hope Jerry knows what a powerful impact he had on my dad’s life. Describe your dad’s mentoring style in 3 words and why? Passionate: Of course this goes without saying. His passion for mentoring was apparent. As my family often says, he loved watching others succeed and to “leave his mark.” Clearly, he did it well. Dedicated: My dad poured his heart and soul into mentoring others and asked nothing in return. When I graduated college he often told me that he’d never pass along someone’s resume without first sitting down with him or her to learn about their goals, their passion and where they saw themselves starting a career. I began to send countless friends who were on the job hunt to visit with my dad. It became clear to me how truly dedicated he was to helping others. Sincere: When my dad told someone they could be that teacher, that writer, that PR professional they yearned to be, he meant it. He truly believed that there should be nothing standing in your way from pursuing your true passion. What do you think his secret was for being a great mentor and leader? My dad was a people person and I have a firm belief that being a people person takes you places. Following my graduation, I was lucky enough to drive into Chicago with him everyday and watch him work with others. I watched him mentor; I watched him coach. He had this unique ability to be able to walk into a room and light it up with his smile and charisma. He could talk to anyone and people adored him. I so longed to have that personality and that charm. Even if it wasn’t to mentor others but to be so well liked. He used to tell me: “Megan, you can teach anyone how to use Excel or how to use PowerPoint. You can teach someone how to read a financial statement. But you cannot teach someone how to smile. You cannot teach someone how to have a charming personality.” I used to joke with him that I was nothing like him but I’m often told the apple didn’t fall too far from the tree. I’ll most definitely take that as a compliment. I have him to thank for so much. He was my mentor, my teacher, my father and friend. Share your top 10 “Don-isms”. Always have a fresh and well-done resume. Be a mentor and a teacher. Seek a mentor. Help someone else who is looking for a job. You’ll be looking yourself someday. And remember to say thank you. You must constantly be improving yourself everyday and looking for ways to be a valued member of your organization, team or agency. You cannot rest on yesterday’s successes. Admit mistakes. Do this quickly. Be the first to tell the bad news to your boss or client. Admit that you made a mistake and have a solution if there is one. Be real, always. Be authentic. Don’t try to be someone else. Give 100 percent all the time. Don’t cut corners. Anything less is a lack of commitment. Be well dressed and well groomed. You only get one chance to make a first impression. There is an old saying that you can tell a lot about a person by the state of his/her shoes. Shine those shoes. Today’s peacock is tomorrow’s feather duster.